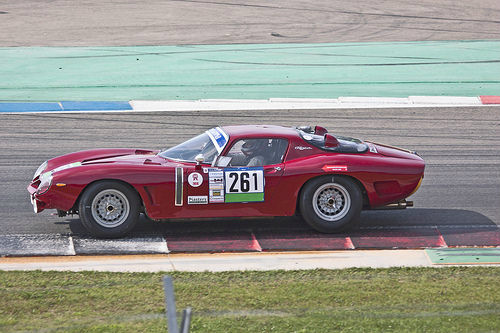 Specialising in advanced sports cars and racers, the Bizzarrini company was launched in 1964 by engineer Giotto Bizzarrini. 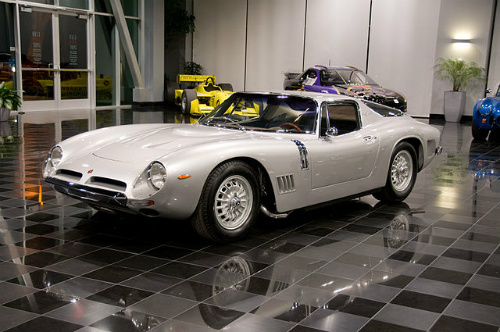 Introduced in 1965, the Bizzarrini GT Strada 5300 was a street legal two seater coupe and convertible designed to include an extremely low centre of gravity for improved road-holding. There was also a track tuned Corsa racing variant. Both used aluminium body panels on a steel platform chassis, based on that used in the Iso Rivolta 300, with a curb weight of 1250 kg. It had independent suspension plus Girling disc brakes all round. The Strada was powered by a front-mounted 5.3 litre, Chevrolet OHV small block 327 cu in Corvette engine that developed 350 bhp at 5400 rpm and 360 ft/lbs of torque at 5500 rpm. Fitted with a Borg Warner T10 four speed manual gearbox, and using a Holley four barrel cab, and 11.0:1 compression, it produced a top speed of 168 mph, with 0-60 mph in 6.0 secs, 0-100 in 13.2 secs, and a standing 1/4 mile in 14.3 secs. On the other hand, the Corsa sports car racer, using the same engine, developed 400 bhp and 375 ft/lbs of torque which gave it a top speed of 175 mph, and 0-60 in 5.0 secs, 0-100 in 11.3 secs, and a standing 1/4 mile in 13.4 secs. 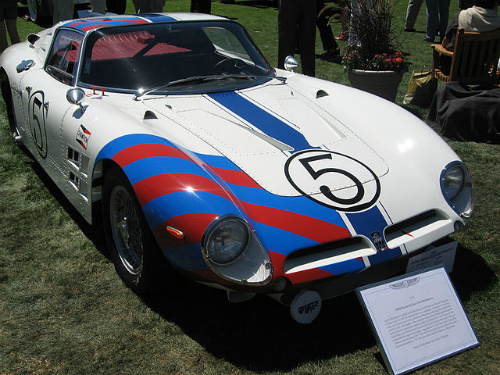 When production ended in 1968, 133 of the 5300 sports car had been built. 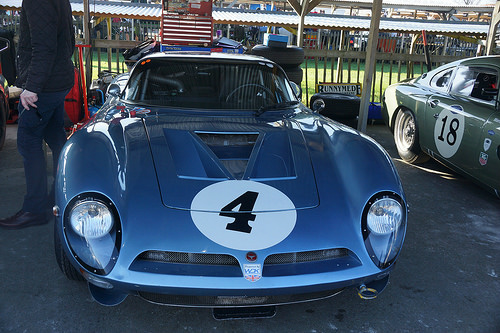 Its principal track success was in the 1965 Le Mans 24 Hour race when it won the over five litre class and came ninth overall.